After a much needed hiatus, I am so happy to be back writing! 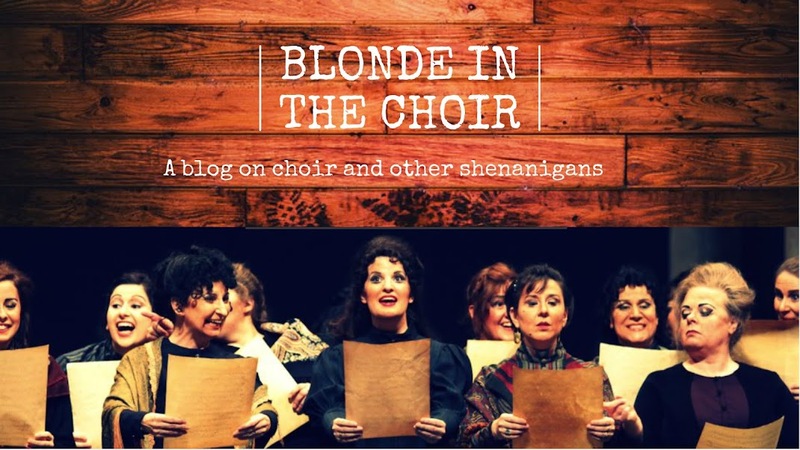 I am officially starting off my 2018 blogging with a blog series devoted to the Spotlight and performing choirs for #PODIUM2018 ! Today's post is the first of many interview previews of performing choirs for PODIUM ON THE EDGE taking place from June 28 - July 3, 2018 in St. John's NL! ...and what better way to begin the previews with none other than Newfoundland-born conductor and educator, Dr. Nicholle Andrews of the University of Redlands Chapel Singers! The University of Redlands Chapel Singers is an advanced 27-voice chamber choir composed of undergraduate and graduate students. Founded in 1965, the ensemble has a long tradition of musical excellence. The Chapel Singers regularly perform concerts, church services, and educational workshops in Southern California. The ensemble performed on the hit TV series, "Glee" as well as sung with Pete Townshend, Billy Idol and Alfie Boe in their performance of The Who’s Quadrophenia in Los Angeles. The ensemble has toured extensively in the United States and internationally. Under the direction of Nicholle Andrews, Chapel Singers performed at the Sixth National Collegiate Choral Organization National convention in Portland, Oregon, 2016 California All-State Music Education Conference in San Jose and is looking forward to performing at Canada’s Biannual National Convention – Podium in July of 2018. What do you feel makes your choir unique from other choirs? NA: I believe that we are the only choir form the USA that is performing in Podium this year. Also, I am a Newfoundlander, so to bring our students to my home province is very exciting! What are some recent highlights you have had with your choir? NA: In September 2017, we sang with Pete Townshend, Alfi Boe and Billy Idol in their performance of Quadrophenia at the Greek Theatre in LA. We also are singing with The King’s Singers in April 2018. We have also performed performed at the Sixth National Collegiate Choral Organization National convention in Portland, Oregon, the 2016 California All-State Music Education Conference in San Jose, CA. What is the importance of fostering choral singing for your choir? NA: The Chapel Singers is a University ensemble consisting of both undergraduate and graduate students. Founded in 1965, the ensemble has a long tradition of musical excellence. Chapel Singers regularly performs concerts, church services, and educational workshops in Southern California. This group performs an incredible wide range of repertoire from sacred to contemporary secular. This speaks to the diversity of both the members of the ensemble, and the University of Redlands at large. What challenges do you see working with the voices in your choir? NA: As we are a university ensemble, the members change every year. Though we have wonderfully talented students, without consistency, we are challenged to essentially start fresh every September. That can be invigorating, but also challenging! Where do you begin when you start building a programme list coming to Podium? NA: My first step was to commission Canadian composer, Stephen Eisenhauer to arrange a piece for us. I wanted to introduce traditional Newfoundland music to my students. The next step was finding repertoire that would work with the commission. I believe that we have found a great set that will inspire both the choir and the audience! What can audiences hope to see from your choir at Podium? 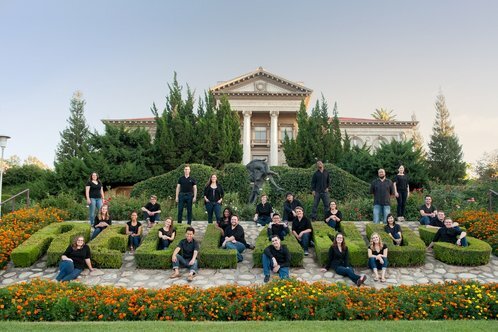 NA: The University of Redlands Chapel Singers will inspire and entertain audiences with a wide variety of repertoire. We will be singing Compline at the Cathedral of St. John the Baptist, A Capella repertoire at our Cameo performance and challenging 20th century choral music at our Spotlight concert! What role do you see Podium having in the world of Canadian Choral music? NA: I see Podium serving the same role as ACDA in the USA. When attending national conferences, it allows ensembles and individual musicians to be introduced to a world of music that they may have never experienced. It also creates a national community and identity, and with a country the size of Canada, having so many unite in one location can be life changing for all involved! It is a time to be challenged, inspired and create lifelong friendships. How important is it for choirs to promote the works of contemporary Canadian composers? NA: As a Canadian living in the USA, I program Canadian composers every year, and my doctoral dissertation at McGill University was the music of R. Murray Schafer and Imant Raminsh. When you are looking to commission a work for your choir, what are the considerations you keep in mind when choosing the right Composer for the job? NA: I believe that the composer must know the conductor and the ensemble. For me, there has to be a human emotional bond before there can be a musical bond. What do you consider when you’re preparing to introduce a new work to present to your choir? NA: I am always so excited! I make sure that I have worked with the composer to come up with a piece that will inspire the ensemble. What are the challenges when you are looking at repertoire to program for? NA: As I mentioned earlier, because we are a university ensemble, programming works a year in advance is challenging because of not know who will be in the ensemble. Explain your musical upbringing and what eventually drew you to choral music? NA: I am a Newfoundlander, and singing is as natural to our people as breathing. I come from a very musical family, my brother and sister also have their doctorate in music. Our parents supported us on every front, and even though we are all instrumentalists, we also sing. I completed a B.Mus in oboe performance, and B.Mus.Ed at MUN. 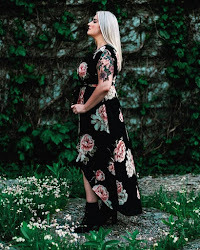 At the time, I had no idea I wanted to be a choral conductor, but upon graduation, I took my first teaching position at a K-12 school in rural Newfoundland, and within weeks, I knew. I went back to my mentor, Dr. Doug Dunsmore, and informed him I wanted to become a choral conductor. He said that he knew all along, and that it was just a matter of time before I came to the realization! I completed the year teaching, and moved back into St John’s to study with both Dr Dunsmore and Susan Quinn to prepare for a masters audition in Choral Conducting. I was accepted at McGill, where I completed my masters with Dr. John Baboukis and Professor Iwan Edwards, and my doctorate with Dr. Julian Wachner. What are some future goals of the choir? NA: The sky is the limit for the University of Redlands! We have an administration that supports my ideas and dreams, and the students are always excited to go along for a wild ride! I would like to have Chapel Singers perform at ACDA, as well as other international festivals. What do you hope the conference and festival attendees will take away from the experience? NA: I want our students to experience the Canadian culture through music. Having 27 students be part of a large Canadian Choral Community will be life changing for many of them. I also want to introduce them to continuing their studies in Canada! 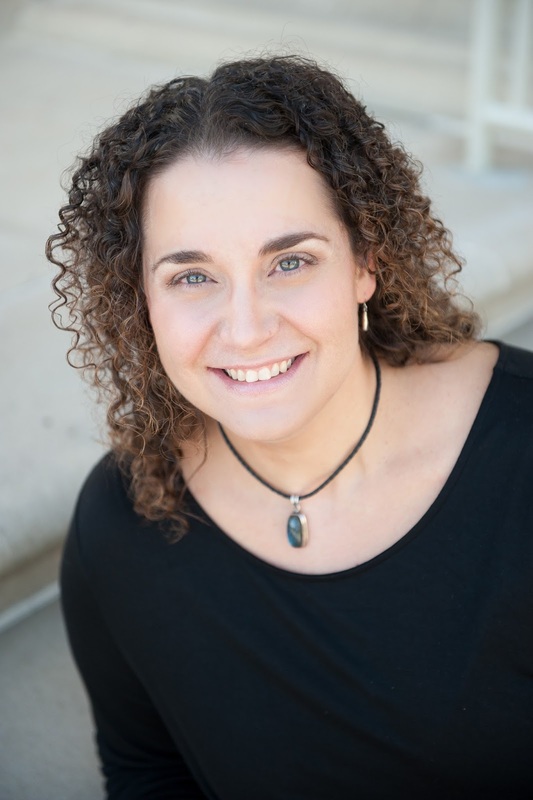 Originally from Newfoundland and Labrador, Canada, Nicholle Andrews is Director of Choral Studies at the University of Redlands. Under her direction, the choral ensembles at Redlands have been invited to performed at festivals and conferences such as the National Collegiate Choral Organization (NCCO) Convention, California Music Educators Association (CMEA) Convention, California All State Music Educators Conference (CASMEC), and Festival 500 Sharing the Voices. She is in high demand across North America as a conductor, adjudicator, and clinician. Thank you so much, Dr. Andrews! 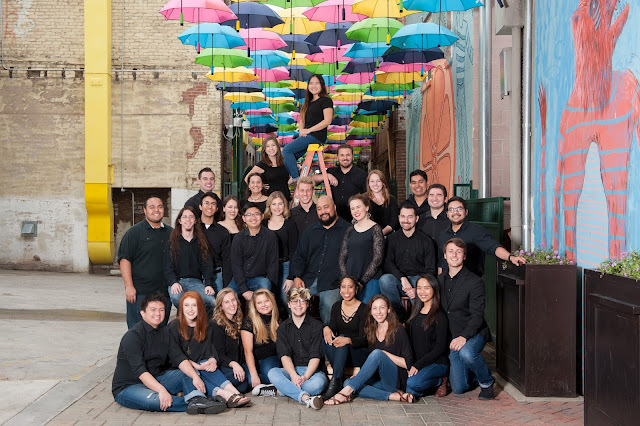 The University of Redlands Chapel Singers perform on Monday, July 2nd 11:30am-12:30pm at the Cochrane Street United Church as a Spotlight Choir for #Podium2018.